In modern baseball, the analysis of player performance has less to do with time-honored traits (e.g., power, speed, agility) and increasingly more to do with metrics. With these metrics, teams define the “best” players as those that perform well in key statistical areas like “on-base percentage” and “slugging percentage” – not necessarily who can hit the ball the farthest. The same is true in the modern supply chain, where – like baseball analysts – retailers keep score and measure statistics. And that close scrutiny ultimately increases the pressure on you, the retail supplier. Can One Warehouse Store Different Temperature-Sensitive Products? Storing different temperature-sensitive products together is a little like running a pet store. While they may have very different care requirements, a lizard, a puppy, and a goldfish can all co-exist safely under the same pet shop roof provided their individual needs are met. The same holds true in the warehouse, as products with totally different – and often opposite – requirements can be stored together safely as long as appropriate measures are taken. There is currently no solid national solution for long-haul, temperature-controlled LTL shipments between 55 and 65 degrees Fahrenheit. Consequently, candy manufacturers and other shippers with this temperature requirement use a multi-stop truckload solution to move goods to retailers in different regions. This strategy poses increasing problems as TL capacity tightens and as retailers levy tougher penalties for shipments that don’t hit requested arrival dates (RADs). For shippers feeling this pinch, a pool distribution strategy may be a lower-risk, lower-cost alternative. When your container reaches its destination port, a lot needs to happen before your goods get to market. At this point, it is possible to begin incurring accessorial charges, which can pile up quickly. In this blog post, we’ll cover detention charges in shipping – one of the most common charges you’ll want to avoid after your container hits the port. The Ports of Los Angeles and Long Beach are the busiest ports in the U.S., handling over $450 billion worth of goods each year. This kind of volume leads to congestion that can really slow down your supply chain, and your cash cycle. If you are importing into LA or Long Beach, here are 5 tips that can save you time, money, and quite a few headaches. For large-volume importers, drayage costs and port fees can eat up a good chunk of the transportation budget. So it pays to dig in and understand where the money is being spent and whether smarter, cheaper alternatives exist. Throughout my career in logistics, teamwork has been an essential – and rewarding -- part of my operational SOP. Everyone’s role is vital in a successful operation;that synergy ultimatelydrives productivity, quality, and timeliness. We have all heard about SOLAS by now, but the time has come to ramp up efforts for compliance. Do you have all the facts? We have gathered information from credible sites to create FAQs that can help sum up the new regulation. Northern California is a large market for supply chain services. It is easy to become overwhelmed at the idea of selecting a particular location for your manufacturing or distribution. Don’t worry, Weber is here to help. We have developed a white paper to help you better understand the Northern California market and reasons to take a second look at choosing Stockton as your primary location. Selecting a location to manufacture and set up distribution is different for all companies. Mexico is re-emerging as a leading location for manufactures due to increasing labor and fuel costs in China and Mexico’s accessibility into the United States. Many companies especially those in the automotive and aerospace industries are taking advantage of the situation manufacturing in Mexico and setting up distribution in the United States along the Mexico border. Let’s review these C-TPAT benefits. But first, a look at the basics of the C-TPAT program. When importing goods into Southern California ports, getting cargo through Customs is just the start of the challenge. Most importers to Southern California want to establish a West Coast warehouse for national, regional or local distribution. The question is where to locate your inventory. What is the C-TPAT program and why should you care? C-TPAT is a voluntary government-business initiative designed to guard against illegal smuggling of dangerous cargo by terrorists. If you get competing carrier bids, rate comparisons are easier than those for warehousing. Trucking companies have published tariffs for services. As rates are requested, these carriers will ask about the commodity, the originating address, the destination address, and whether the product is palletized or floor loaded. With this information, carriers can reference their tariffs and quickly provide a quote. For years China has been the country of choice for companies looking to establish lower-cost manufacturing operations overseas. Today, the same firms are looking to move their manufacturing out of China. Why? Well, China is experiencing higher labor costs, high fuel prices, and an overall increase in transportation costs to get goods to the final consumer. These factors have led many companies to seek alternate manufacturing sites closer to home. The contract between the Pacific Maritime Association and the International Longshore and Warehouse Union, which represents almost 20,000 longshore workers at 29 West Coast ports, expired on July 1. The union extended its previous six-year contract until this past Friday, July 11 and negotiations are now underway to complete a new deal. Ever wonder how third party logistics providers (3PLs) determine the warehousing rates that they quote to you? A new Commercial Warehouse Pricing Guide is now available that explains the basics of how rates are determined. You can then use this knowledge to control your costs. Were brown suits ever in style? Perhaps, but today they are typically not the first choice for fashionistas. For those who don’t follow fashion trends, however, a brown suit might seem like a good option when sifting through the rack of 42 regulars at Men’s Wearhouse. Let’s face it, competitive transportation and warehouse rates are critical to earning new 3PL business. Providers need to be ready to look for any and all efficiencies when pricing a deal, because that’s what shippers expect in their efforts to manage logistics costs. Real estate investment firm Jones Lange LaSalle just came out with its Fall 2013 “Big Box Velocity Index.” It measures both building activity and demand for industrial warehouse space across the U.S. The report suggests the economy is rebounding, with demand for warehouses strong across the country, especially for buildings over 500,000 square feet. According to the report, the overall industrial vacancy rate is the lowest since the 2nd quarter of 2008. Reduce Warehouse Labor Costs By Paying Workers More! How can you reduce warehouse labor costs by paying more to warehouse workers? Simple: Don’t pay everyone more, just the peak performers. 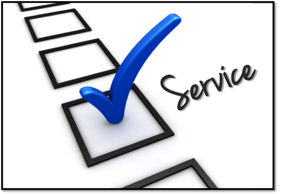 When it comes to customer service in logistics, one common theme I have found in my 25 years in the 3PL industry is that every leader at all levels has a need to focus on providing the best overall customer experience. Whether you lead a team or are just interacting with internal customers, the need to provide the Best Customer Experience is critical to succeeding in an ever-commoditizing market. Supply Chain Process: Are You Managing the Chain or the Link? Many companies have yet to realize that a failure to evaluate supply chain changes in the context of the entire supply chain process will sub-optimize both total cost and service. For instance, we continue to see organizations seeking to optimize their transportation spend without consideration of the impact on forward storage or handling costs. The reverse is also true; some organizations evaluate storage or distribution alternatives solely on the handling or storage rates attainable. Both approaches are myopic and will frequently inflate costs. A primary cause of a sub-optimized supply chain process is management silos. When silos exist, either formally or informally, supply chain changes are typically evaluated in terms of individual supply chain links. For example, when transportation services are procured separately from the product handling or warehousing purchase, there is a disconnect. This disconnect can be amplified or reinforced by a bonus or incentive program that rewards managers for cost reductions for their fraction of the chain, often at the expense of another supply chain link. Cost is an important component of supply chain optimization but so are service and reputation. Narrowly focusing on a portion of the supply chain process can also impact service levels and firm reputation. In the instance of service, the lowest cost provider can sometimes gain business by under-estimating requirements, which results in a) poor service levels against KPIs, and/or b) added, unbudgeted costs via accessorial charges. Poor service impacts rolling up from the end customers are hard to quantify but need to be measured as part of the evaluation of providers. Impacts to reputation are even harder to estimate but can be lasting. When your warehousing provider is shown to have a poor safety record or has engaged in illegal and abusive labor practices, all parties are tarred with the same brush. When it comes to your supply chain, are you managing the chain or the link? If it’s the latter, organizational structures and incentives are often the root of the problem. What Is C-TPAT and Is C-TPAT Certification Right for You? Chargeback penalties from large retailers continue to be a profit-draining problem, particularly for mid-sized companies that don’t have staff dedicated to vendor compliance management. But you can avoid chargebacks, or at least reduce them, by following some basic, technology-aided disciplines in the distribution warehouse. 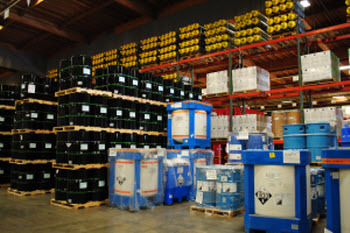 In a previous blog post, we discussed the Southern California warehouse market. In this post, we want to focus on the Inland Empire region – the logistics hub of Southern California. Located about 50 miles east of Los Angeles, the region has 1.1 billion square feet of warehouse space. The traditional strength of the Inland Empire has been its access to the nation’s largest port complex in Los Angeles-Long Beach. So you want to distribute your product from a Southern California warehouse? Let’s go on a tour of the region’s 1.7 billion square foot industrial real estate market, the biggest industrial real estate market in the world. Retail chargeback penalties for non-compliant shipments are a profit-draining reality for many CPG companies. But retail suppliers with the will and the right strategy can avoid hundreds of thousands, even millions, in penalties. Success requires creating a vendor compliance program, either internally or through a partnership with a third party logistics provider experienced in vendor compliance. Do we need another logistics blog? Another logistics blog site? Don’t the various logistics publications and supply chain services providers – on their websites and blog sites – do a good enough job of commenting on industry issues and facilitating discussion?